This incredibly rare 1956 Allard Palm Beach Mk II for sale at the Chateau Impney Hill Climb this weekend, is the very car that starred at the 1956 Earl’s Court Motor Show in London and freshly restored by the son and grandson of Allard founder, Sydney Allard. 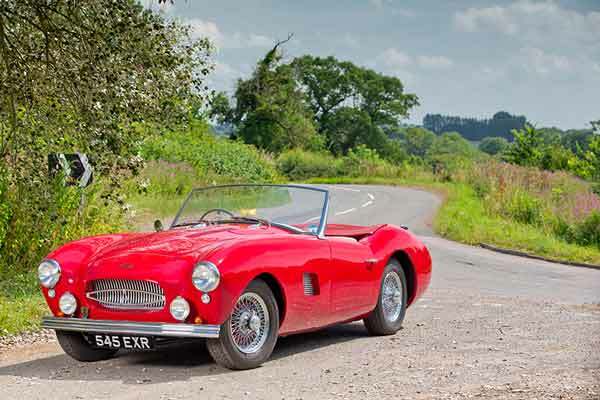 The classic Allard Palm Beach Mk II car for sale has been consigned directly from Alan and Lloyd Allard, the son and grandson of company founder Sydney Allard. The London-based Allard British sports car marque was famous in the 1950s for trials, sports-touring and racing cars. As well as making them, Sydney was pretty talented behind the wheel. Sydney, with American Tom Cole, drove an Allard J2 to finish third overall at the 1950 Le Mans 24 Hours. Allard, known as ‘The Guv’nor’, is also widely credited as the father of drag racing in the UK. While the powerful V8 cars made Allard famous, the far rarer Palm Beach was powered by a variety of four- and six-cylinder engines. The car offered by H&H (one of only 8 Palm Beach Mk II’s built by Allard), features the lusty straight-six more commonly seen in the Ford Zephyr back in the day. 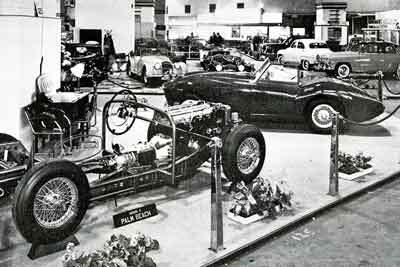 This very car served time as the company demonstrator but was also paraded in front of the world’s press on the Allard stand at the 1956 Earl’s Court Motor Show. 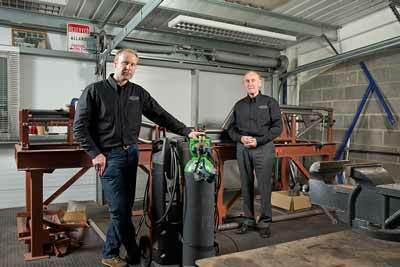 Having spent time outside the family’s hands, father and son Alan and Lloyd Allard purchased the car in 2012 to restore and bring back to it’s former glory. Now in superb condition having received a ‘factory restoration’ (under the watchful eye of some of the original Allard engineers), the Palm Beach Mk II will be offered for sale by H&H classics at an estimate of £80,000 – 100,000 and represents a rare opportunity to acquire a very rare classic car and a unique piece of Allard cars history. H&H Classics’ Chateau Impney Hill Climb sale will be held on 11 July 2015 at Chateau Impney in Worcestershire, UK. See our events page for more details and for information on how you can buy tickets.